Do not keep paper grocery sacks, boxes, or cartons inside your home. These may harbor cockroach eggs that later hatch inside your home. Use good sanitation in your home and remove trash daily. Control sources of water for pests. Fix any leaks in your plumbing. Correct structural problems. Caulk foundation holes and cracks and crevices around doors and windows. Have children watch for pests and never touch or handle bugs or spiders. Control sources of food for pests. Put away food promptly and do not leave open pet food available for rats and mice. Wipe counter tops and tabletops after each meal or snack. Sweep and vacuum floors in kitchen and eating areas (dining room, den) frequently, preferably daily. Look for signs of mouse/rat droppings, especially under sinks and inside kitchen cabinets. 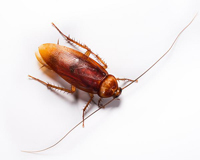 Call or e-mail Enviroguard Pest Soluations at nobugs@egpest.com for an appointment to treat your home for pests.